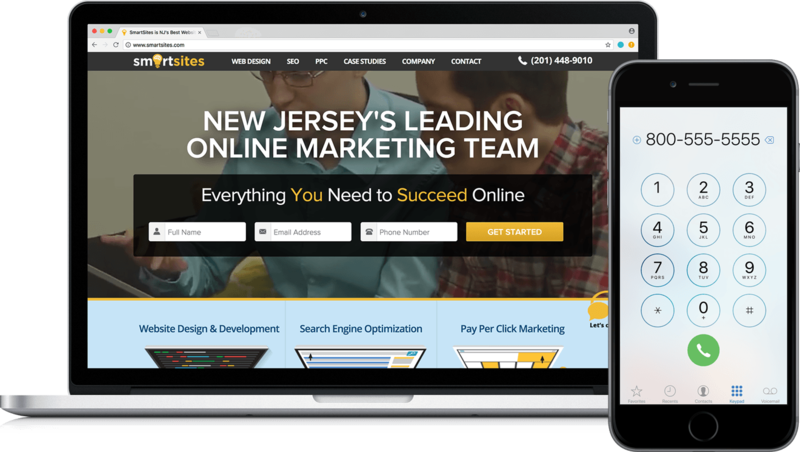 SmartSites is a full service digital agency in Paramus, New Jersey. They realized that as the world is becoming increasingly mobile-centric, more and more conversions are coming from phone calls. Their clients in industries such as medical, accounting, and legal have patients or customers that expect an immediate response. Those customers prefer calling to filling out an online contact form and waiting for a reply. Of SmartSites 250+ clients, around 85% are using DialogTech’s call tracking. According to Alex Melen, Co-Founder of SmartSites, they encourage all clients to use DialogTech. Melen explains that prior to providing call tracking they would have clients claim that they weren’t seeing results. Melen explains they were losing business because they did not have the data to back up the number of phone calls they were generating from their marketing efforts. SmartSites would have clients telling them, “I have this gut feeling the marketing campaign didn’t do well based on one day we didn’t hear the phone ringing.” Once the agency started using DialogTech to track calls from their marketing down to the keyword level, they had the metrics they needed to prove ROI to their clients. Since implementing DialogTech, SmartSites estimates that on average they have increased inbound call volume to businesses by 32% from their marketing. They have also decreased cost per call by 20% and increased customer acquisition by 25%. 85% of this plumbing company’s conversions come directly from phone calls, while only 15% are from web-based contact forms. Using DialogTech, SmartSites provides this plumbing company with daily metrics of how many calls came in via their marketing and website, and more importantly, how many calls resulted in appointments. They have seen a 50% decrease in cost per call since they started working with DialogTech and a 30% increase in customer acquisition. Beyond tracking calls from marketing, SmartSites also uses DialogTech to record the calls they generate to clients to measure lead quality. Call recordings also help them coach clients to improve the caller experience. For example, Melen explained that one medical client said that the calls he was getting were irrelevant and that they were not making new appointments. But reviewing the call recordings from DialogTech enabled SmartSites to learn that the person answering the calls was often rude, would not record the appointments, and was sometimes even hanging up the phone on callers. Correcting that issue enabled the client to see immediate results. Being a long-time DialogTech partner, SmartSites has seen the value and payoff of using call analytics to grow their business. By using DialogTech’s call tracking with their own advertising and website, they not only measure phone leads for each offering, but they track calls back to Google AdWords keywords and analyze the call recordings to get CPA (cost per acquisition). SmartSites has experienced impressive 75% growth in the past three years, and earned a place on the 2017 Inc. 5000 list thanks in part to the success of using DialogTech’s call attribution solution with the majority of their clients.